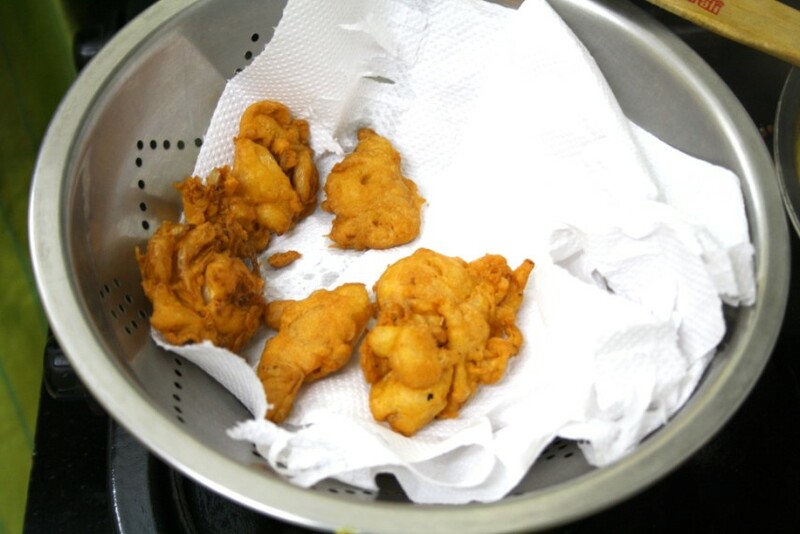 Punjabi Kadi Pakoras - Indian Cooking Challenge for September ~ Step By Step Recipe! 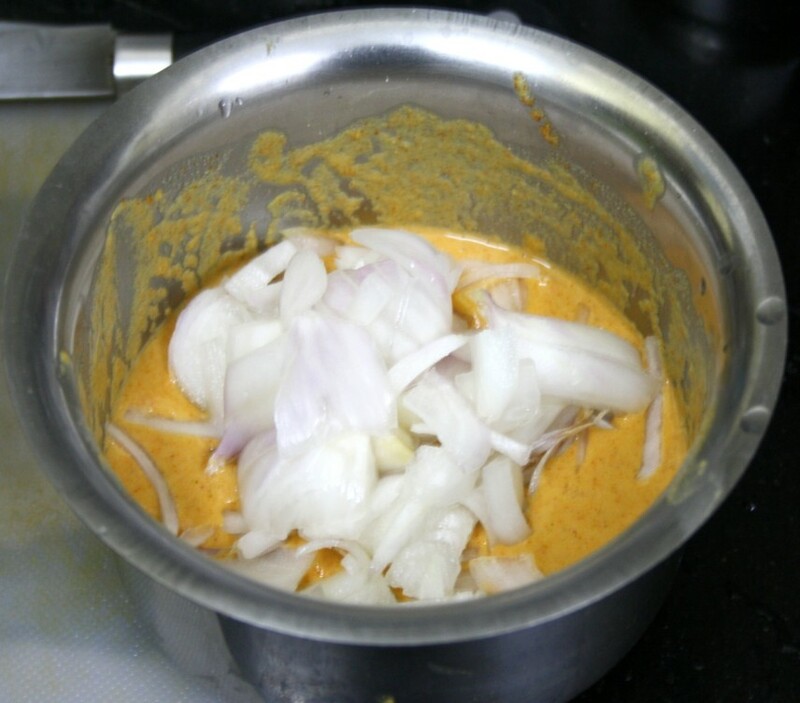 Punjabi Kadi Pakoras – Indian Cooking Challenge for September ~ Step By Step Recipe! 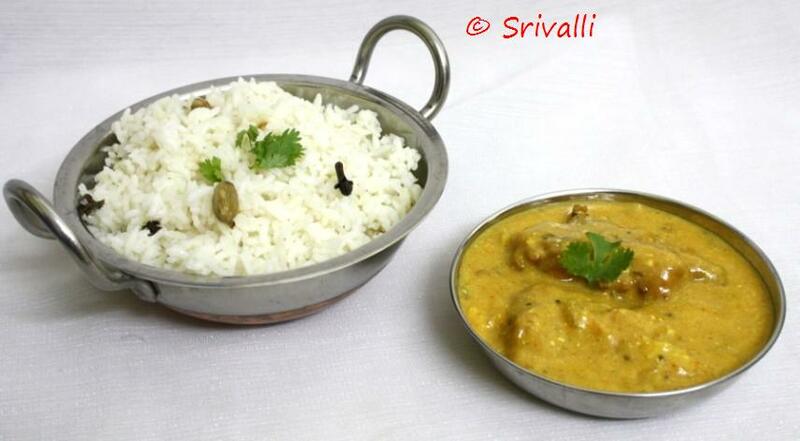 After all that sweets and savories, I thought it should be a gravy for the Indian Cooking Challenge this month. 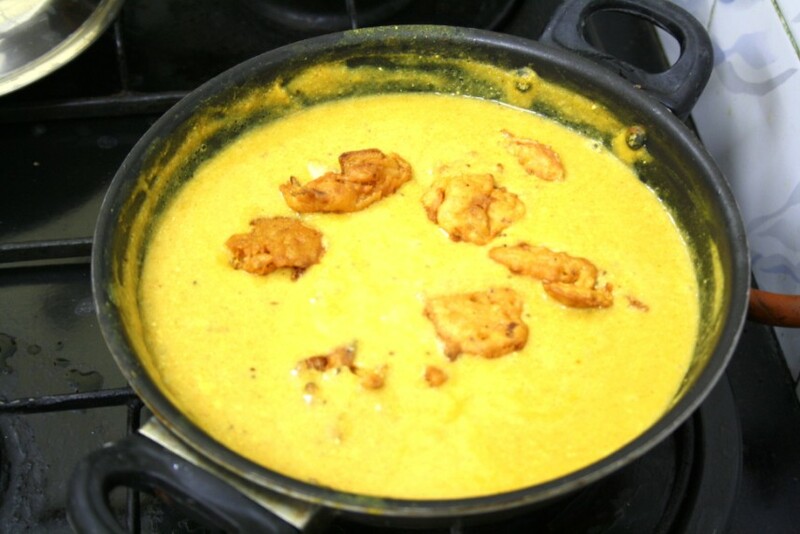 I always have been wanting to make Kadhi Pakoras famous dish from Punjab! Kadi Pakodas are those fried dumpling soaked in a yogurt based gravy. So I pinged Lataji to ask if she has anything in mind. 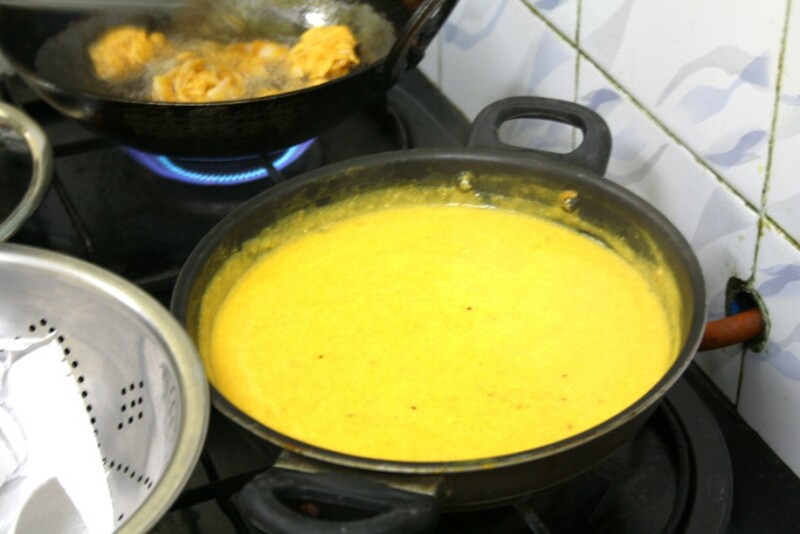 She suggested Khandvi, then when I said why don’t we try Kadhi Pakoras, she even searched back her repository and sent a Sanjeev Kapoor’s recipe.Then I remembered Simmi and asked her if her Mom has a recipe for this. Before I could even ask, Simmi said she has a killer dish! Now that got so much interesting. Lataji even tried it immediately for her lunch and mailed me saying it was just very delicious. Now that is going to be some wonderful change. Then add the onions and mix well. 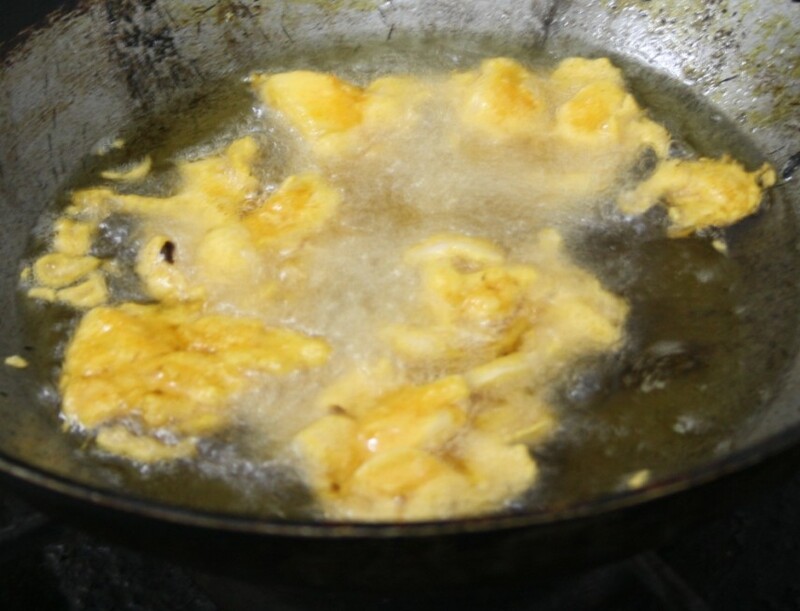 Heat a pan with oil enough to deep fry the pakodas. 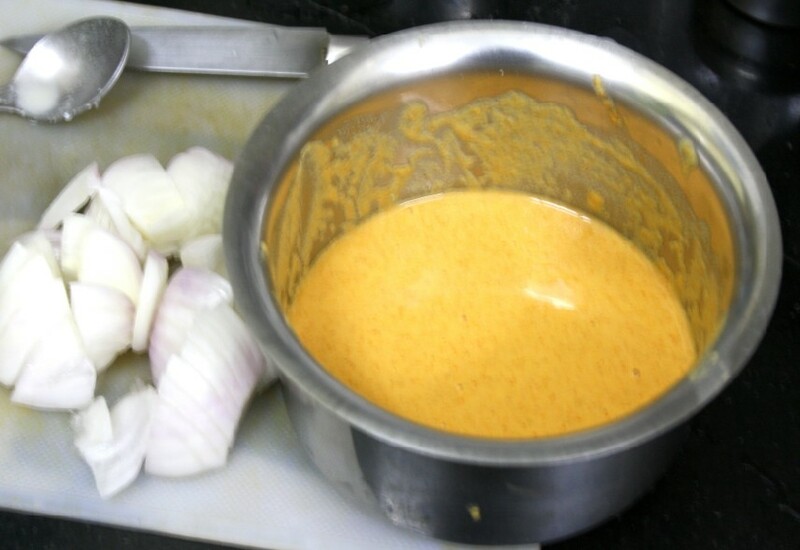 Scoop out with spoon just enough to make medium sized pakoras. Once they are cooked on both sides, drain them to a kitchen towel. Get all the ingredients together. Heat a tbsp of oil in a non stick pan. Add a tsp each of mustard seeds, cumin seeds, carom seeds and methi. Let splutter for a few seconds. Stir till it is well browned. 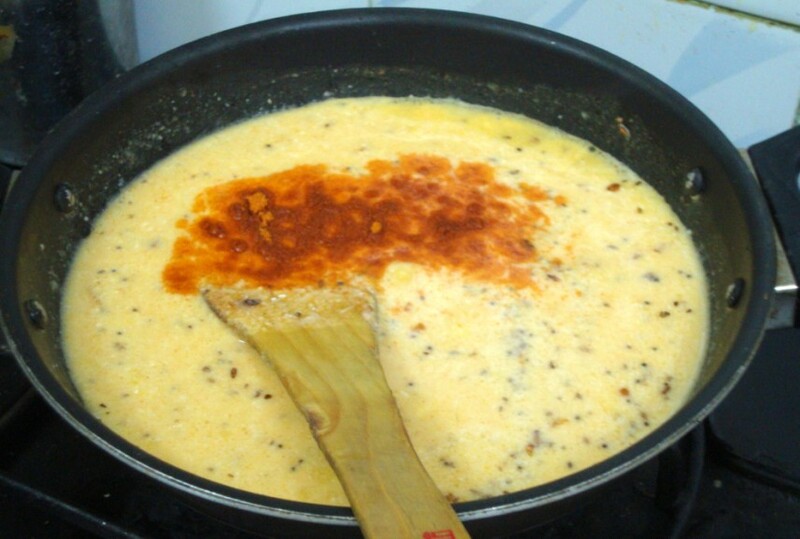 Make a paste with yogurt and besan, then mix with water to make a very thin batter. 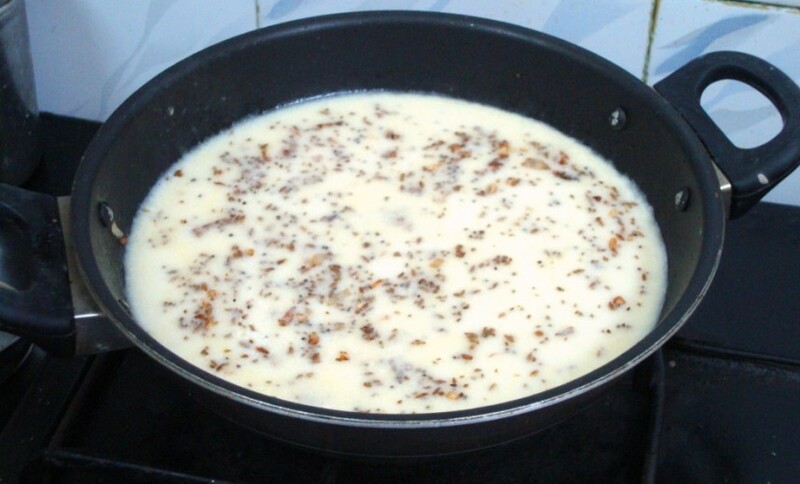 Pour in the yogurt/besan batter to the pan. Ensure it is all mixed well. you can get both the pakodas and kadi get going together. Slice onions length wise. 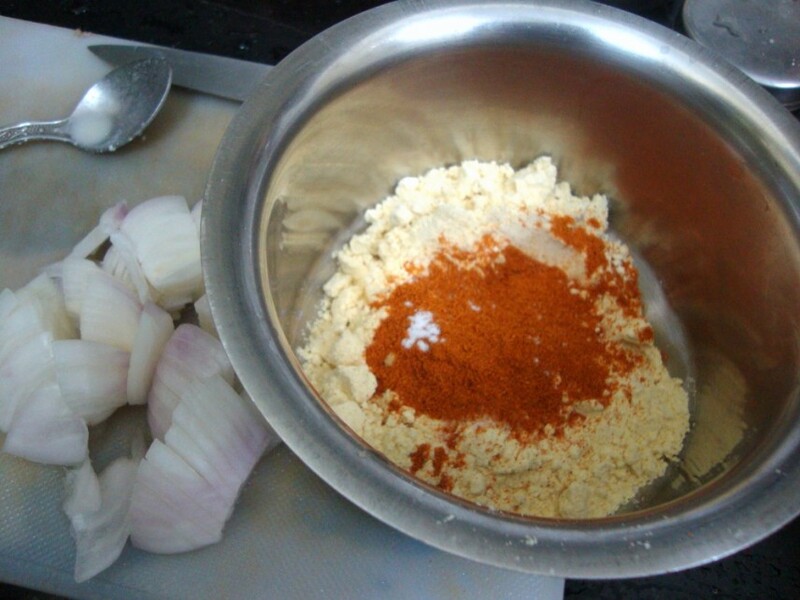 In a bowl, take the chickpea flour, add salt, red chili powder. Make a batter with water to get a semi thick consistency. Heat a pan/ kadai with oil. 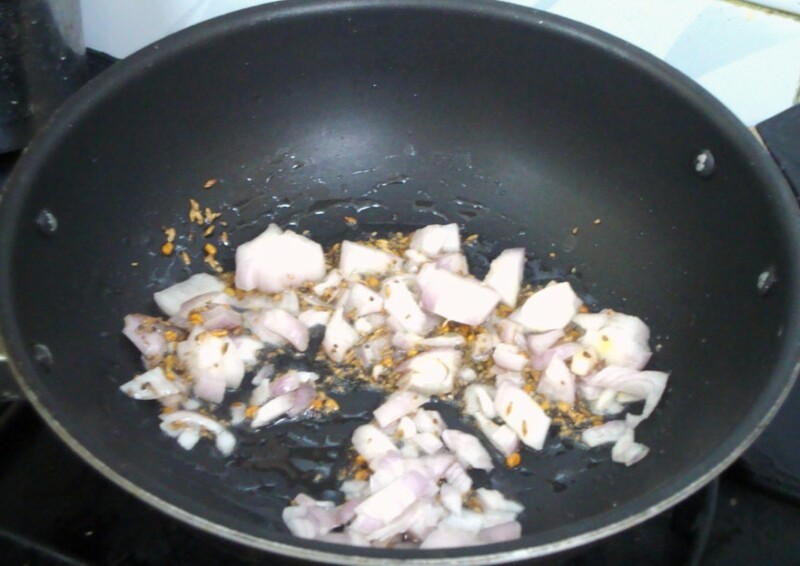 When it is hot, dip onions in the batter and gently drop into the hot oil. Deep fry until crispy. 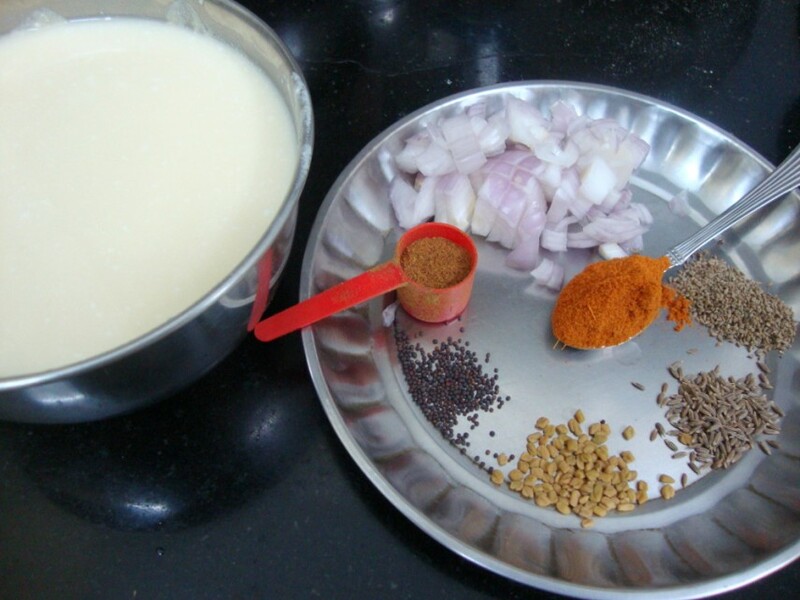 Make a paste with yogurt and besan, then mix with water to make a very thin batter. Heat a tbsp of oil. 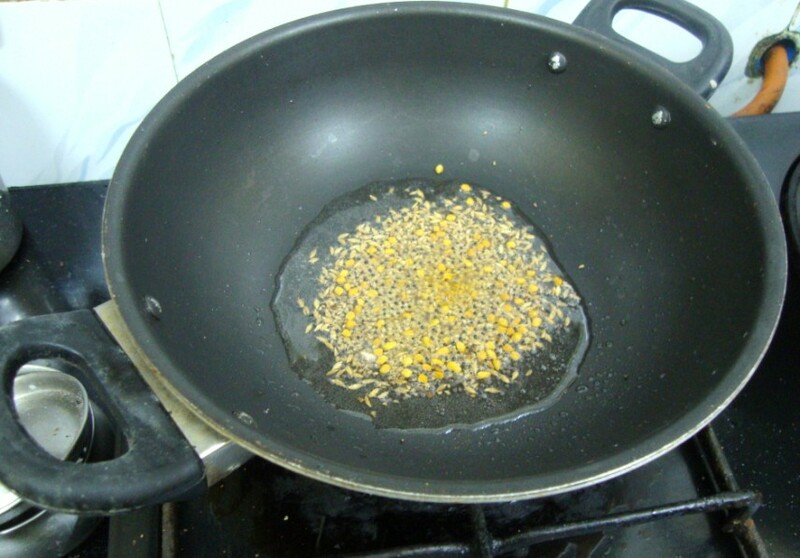 Add a tsp each of mustard seeds, cumin seeds, carom seeds and methi. Let splutter for a few seconds. 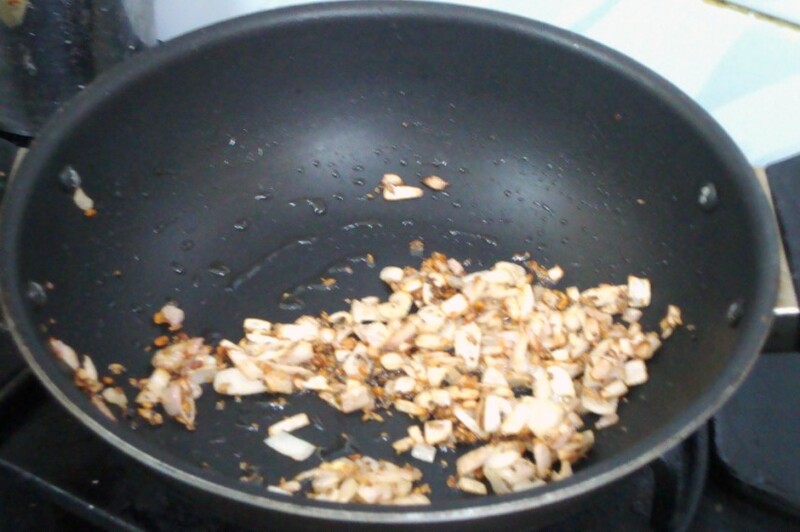 Add onion slices, fry till they turn light brown. 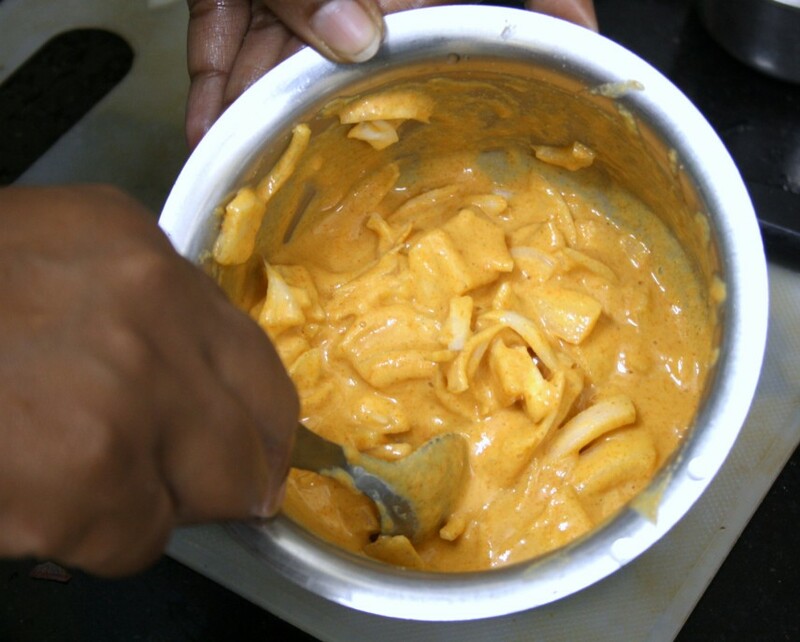 Pour in the yogurt/besan batter, add turmeric powder, salt and red chilli powder. Bring to a boil, reduce the heat and let simmer for at least half an hour. 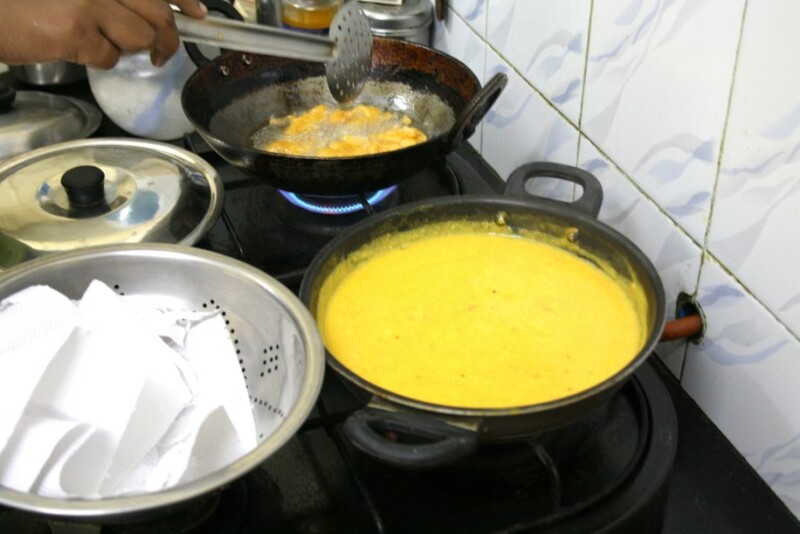 When you feel it is pretty thick, add the reserved pakoras, bring to boil. 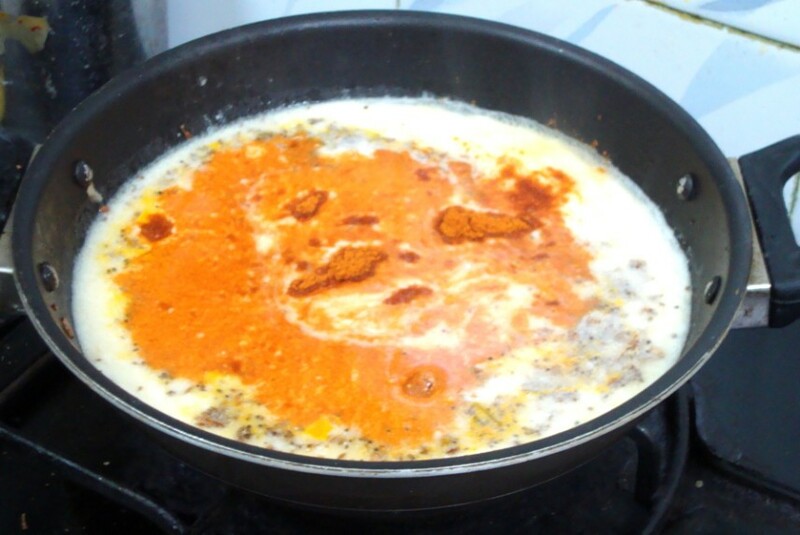 Add garam masala and Amchur powder to the gravy just before removing from stove. She says this gravy needs to be stirred occasionally but otherwise you can leave it on its own to get cooked. 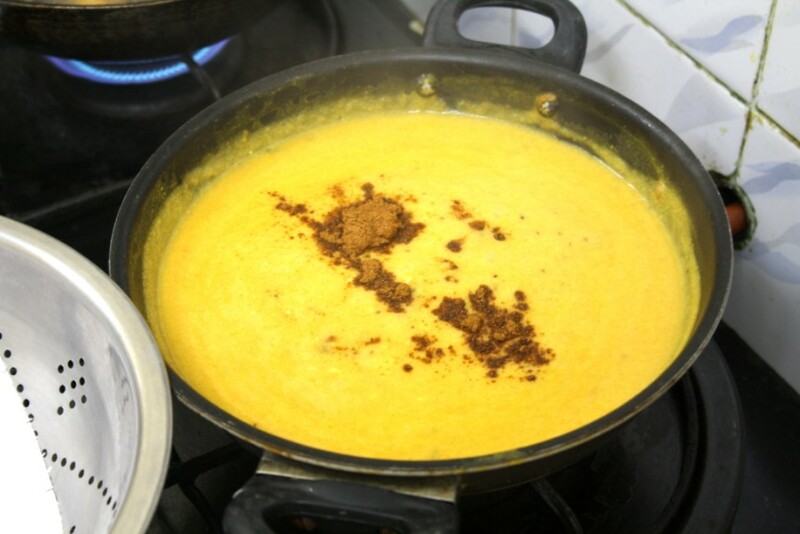 The kadhi has to be fairly thick – if you’ve had a thin, watery kadhi then it will be the Gujarati version. For a hearty Punjabi one,make it thick. To all my ICC members, please link your Punjabi Kadi Pakoras post to Mr. Linky. Loved this recipe–can hardly wait to see what we get to try for next month! Oh, and I found a fantastic Indian grocery in town, finally–no more wonky substitutions! 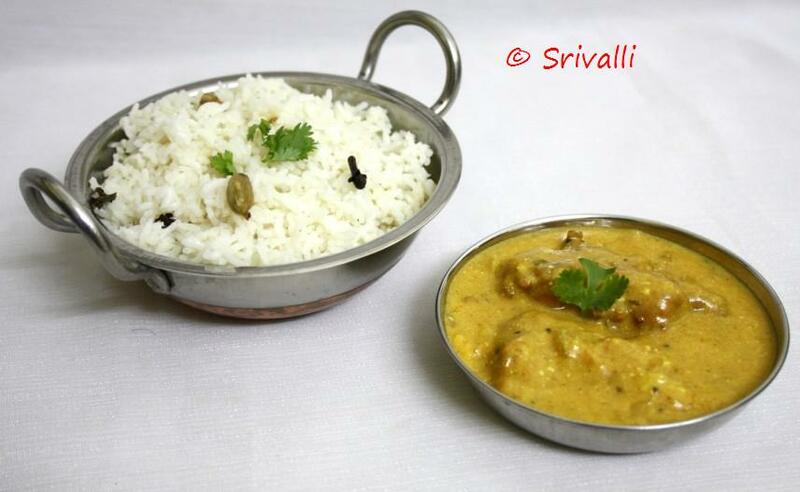 Its a wonderful recipe sri valli..looks great. Love the step by step…It came out really yummy love it…thanx for the challenge! I enjoyed making and my whole family enjoyed eating it! Thx for picking this for the challenge. However do you get time to take and upload as many pictures? 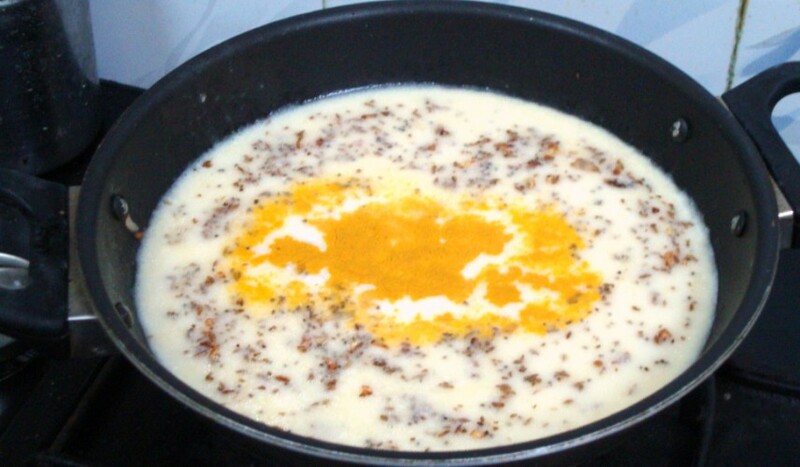 Kadhi Looks relish. 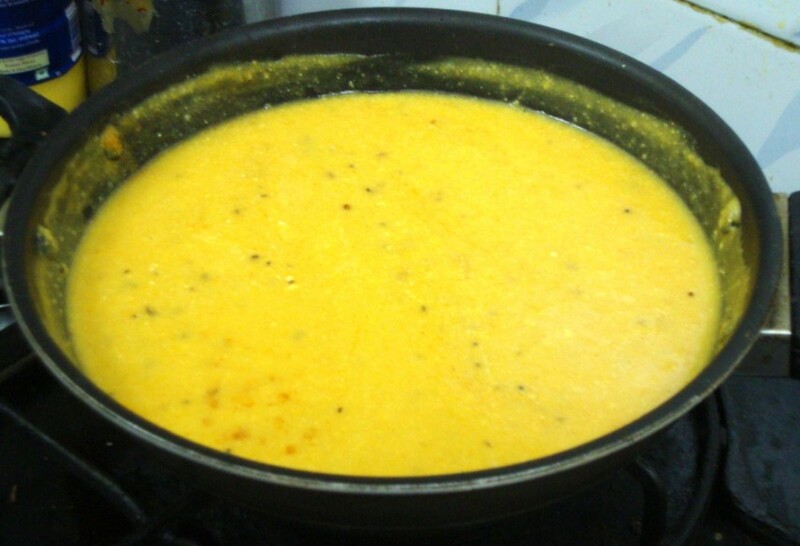 Lovely tasty looking kadhi.This challenge was perfect and I really enjoyed making it. it came really very delicious..every liked in the house. Thanks guys for the quick response, I am off to check out your posts!.. Love recipe. It tasted so awesome! I have posted the link. I'm really happy I could participate in the Sept ICC challenge, since I missed it last couple of months. Waiting for the next challenge. 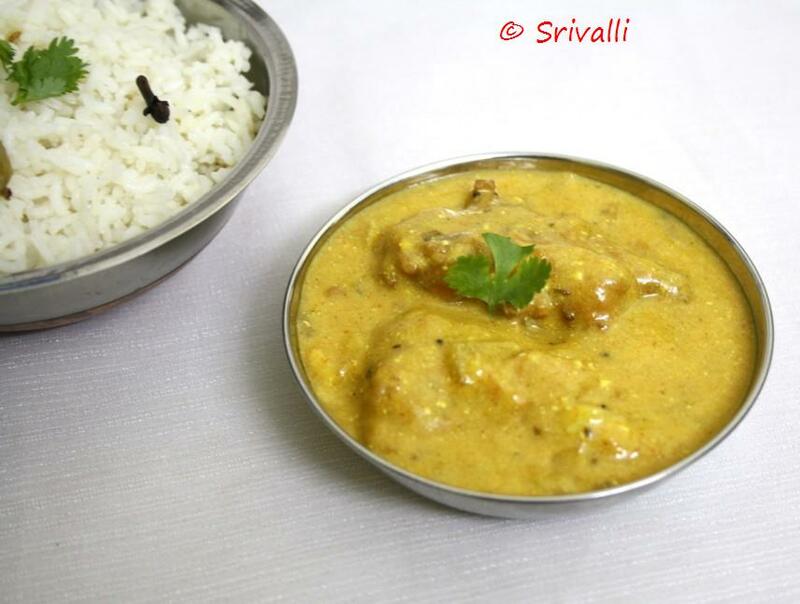 Hi valli, thanks andi, recipe Bhaaga undi, sorry for posting it so late, Valli I made few dishes to your kids entry too, but could never post it, I am so sorry I could not post it on time, will check out your next event on kids. I did not want to miss this as I had missed two of them already. Ooops, I would have missed out to say this, your step by step pics are lovely these days, and lovely clicks too.. I'd like to join your cooking challenge.